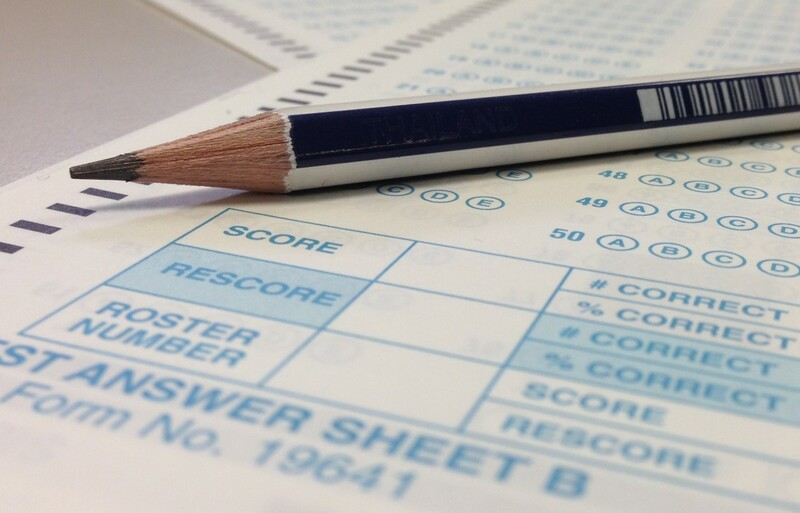 One major testing irregularity that the state looks for is an unusual number of wrong-to-write erasures on standardized test answer sheets. As you’d expect, New Orleans’ historically strong schools were again the top performers on this year’s standardized tests. But in a few grades, schools with less academic clout inched past them. The B-rated KIPP Central City Academy bested several A schools in math in most grades. Lagniappe Academies, rated a B by the state, was the only member of the Recovery School District to have all eighth-graders pass English and math. In fourth-grade English and math, students at Dr. King Charter School, rated a C by the state, had more of its students pass English and math than every school but Lusher Charter School and Lake Forest Elementary Charter School. The state’s Recovery School District took over all but the best schools in New Orleans after Hurricane Katrina. In the years since, schools run by the Orleans Parish School Board have consistently scored higher than those run by the RSD. That trend continued this year: 82 percent of OPSB’s third- through eighth-graders passed LEAP and iLEAP tests this year, compared to 57 percent of students at RSD schools. But there were some bright spots among RSD schools, according to a Lens analysis. In every grade, a lower-rated RSD school had more students pass English or math than a higher-rated OPSB school. Although there were more OPSB schools than RSD on top 10 lists for nearly every grade and subject, RSD had a few spots on each list. They did particularly well in fourth-grade English, fifth-grade math and eighth-grade math. This isn’t the first year this has happened. Last year, an RSD school surpassed a higher- performing OPSB school in every grade in English and math. In other words, some RSD schools are better than you’d think. LEAP and iLEAP tests are the chief factor in determining the School Performance Scores and school letter grades. Test scores are released at the end of the school year; in the fall the state releases its letter grades. This year, English and math questions were revamped with the Common Core State Standards in mind. Common Core is a national set of standards that emphasize critical thinking rather than memorization. It’s supposed to make it easier to compare performance across state lines. The Lens focused on these two subjects when comparing performance. In 2013 and 2014, OPSB schools generally did the best in every grade level in English and math. That includes selective-admission schools such as Lusher Charter School, Audubon Charter School and Lake Forest Elementary Charter School. Nearly all of Lusher and Lake Forest’s third- through eighth-graders passed English and math in 2014 and 2013. At Audubon, an A-rated school, most students passed English and math. But in some cases in 2014, Audubon was outpaced by several open-enrollment schools run by the RSD — schools rated B or C. That happened in 2013. too. Lagniappe Academies, which outscored Audubon in eighth-grade math, was the only RSD school to have all of its students in one grade pass both subjects in 2014. Younger students at Dr. King Charter School were consistently in the top 10 for passage rates this year. That wasn’t the case in 2013. KIPP Central City Academy also did well, particularly in sixth grade. Last year, the school didn’t rank in most top 10 lists for the number of students who passed English or math. Growth at KIPP Central City Academy came after teachers started to encourage more writing and critical thinking, principal Alex Jarrell said. In a social studies class, for example, students didn’t simply memorize and take notes about Alexander the Great; they wrote a five-paragraph essay about how his feats affected the world today. That approach, Jarrell said, increases students’ understanding of a subject. That’s what supporters of Common Core standards, adopted in 44 states, say students should be doing. KIPP Central City also focused on its sixth graders. As part of a pilot program, every sixth-grader received a laptop. As a result, Jarrell said, passing rates in that grade shot up. He said the school hopes to provide computers for all students in coming years. We asked what could be responsible for the scores at Audubon. A spokeswoman for the Eastbank Collaborative of Charter Schools didn’t say, instead providing a general statement about how school leaders use test scores to improve performance. Lagniappe Academies officials did not respond to multiple inquiries, and King officials declined to comment. Ayers also said schools may be reluctant to discuss their “secret sauce” for high scores because they compete for students in New Orleans. Where are students mastering subjects? Only about 12 percent of RSD’s schools scored a “mastery” or above this year. OPSB did better as a whole, with 42 percent of students scoring at that level. Still, that’s less than half. “Mastery” is the second-highest benchmark (out of five) on the state’s standardized tests. * By 2025, students will have to hit that mark in order to pass tests. Right now, they must achieve “basic,” the middle tier. The reasoning is that “basic” isn’t stringent enough to prepare students for college, according to state officials. Recovery School District chief Patrick Dobard said in a statement that he’s sure that schools will get to mastery by 2025. “We still have a lot of hard work ahead to get all students where they need to be, but I am confident in the ability of our school leaders to meet the goal of ensuring all students are able to master the skills they will need to be successful,” he said. RSD schools did the best in fourth-grade math, with five of the top 10 spots for mastery. There were bright spots elsewhere, too. But they did particularly poorly in sixth grade. Individually, Lusher and Lake Forest — both OPSB schools — had the highest percentage of students at mastery or above in English and math in most grades. The Lens used Louisiana Department of Education data for this analysis. To come up with a school’s passing rate in a specific grade level and subject, The Lens added the percentages of students who scored an advanced, mastery and basic. State data is provided in whole numbers only, with the lowest figure being 1 percent. When the passage rate was less than or equal to 1 percent, we rounded that number up to one, unless that would have resulted in a total percentage above 100.